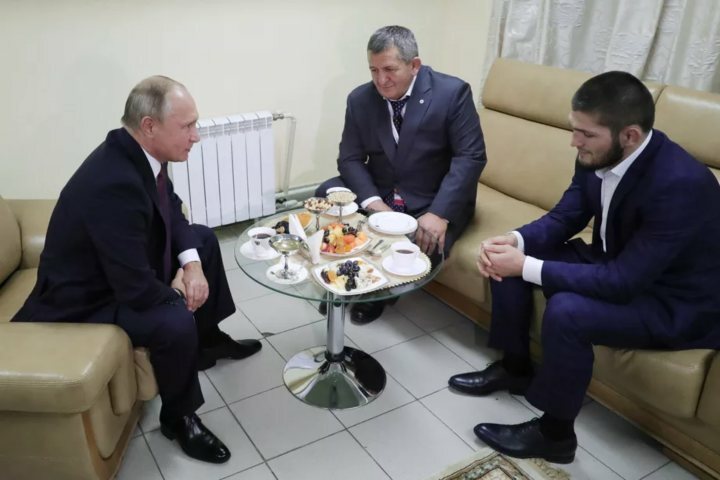 After his convincing victory over Conor McGregor at UFC 229, and the brawl, Khabib Nurmagomedov and his father Abdulmanap Nurmagomedov met Russian President Vladimir Putin. Putin, a 6th degree black belt in Judo and master in Sambo and Karate, is a big supporter of Russian MMA. “I will ask your father not to punish you too strictly, because you achieved the main task, worthily and convincingly,” said Putin to Khabib. said Nurmagomedov at the post-fight press conference.